Some have recently asked the question: “What are the top emerging trends in marketing and sales within the transportation and logistics industry?” Let’s take a closer look at them. 1. Leverage Sales, Marketing and Business Strategy to Elevate CX. I’m starting to hear more conversation centered around how to leverage sales, marketing and branding to impact the Customer Experience (CX). Indeed, CX has been at the center of business priorities for many consumer companies but it’s now just starting to get the attention of B2B – including transportation and logistics. In fact, a Forrester Consulting study last April found that 80% of business decision-makers said improving their company’s customer experience was among their top priorities in the year ahead. So was increasing customer loyalty (81%). In this new age of CX, a combination of strategy, creativity and data is going to set apart the leaders from the laggards in our industry. Clearly, data-driven creativity will be a strategic differentiator in CX strategy. A data-driven approach to creativity helps marketers, sales and business leaders work more productively, create the right value and content faster, and deliver that value and content to the right customer, across the right channels, at the right time. Forward-thinking transportation and logistics companies are just beginning to consider how to integrate strategy, creativity and data to their business approaches. Also, in the past 18 months we in the TMSA community have been emphasizing the importance of aligning sales, marketing and operations for business growth and results. Sales and marketing leaders have the opportunity to capitalize on this – and also to bring their data, analytics, and technology/IT counterparts into the process early on. 2. Focus on Increase of More-Qualified Sales Leads. TMSA members are combining both traditional and modern tactics to meet their business goals. Most today operate with formal, written marketing plans, and many are outsourcing some of their digital marketing that are specifically focused on lead generation to acquire outside expertise that they don’t have in-house. In fact, according to last year’s TMSA Sales & Marketing Metrics Study, 44% of marketing budgets are focused solely on demand and lead generation. Top priorities for marketers in transportation and logistics will include increasing sales leads and strengthening brand awareness. More also are leveraging video marketing and targeted ads to create more personalized customer journeys. Savvy marketers in this industry are now much more focused on SEO, as they realize that SEO plays a significant role in making your business stand front and center for potential shippers or customers, existing customers, and search engines. SEO plays a major role in the development of effective content and the effective utilization of it to achieve the desired effect for your site. Many TMSA members see technical SEO to be one of the most important digital marketing tactics you can implement – ultimately ensuring that your website delivers the best user experience, is easy to navigate, and operates properly to best serve your users and search engines. 3. Account-Based Marketing to Hit New Heights. Currently, account-based marketing (ABM) is in its early stages – and while some transportation and logistics companies are making progress, many still lag in this area. Many companies acknowledge the potential value of ABM but they don’t have the right expertise, talent and resources in-house. However, there is a growing interest in this arena. To be successful in ABM, companies will need to generate better alignment between marketing, sales and operations to be successful. That relationship allows better orchestration around activities in targeted accounts. Ultimately, sales and marketing leaders need to align strategy, teams, technology, and governance around a targeted set of key accounts. Transportation and logistics companies also are realizing that ABM is not just a targeting strategy or set of technology tools. It’s much more. It’s a “way of life” for organizations that want to win by getting close - and staying close - to the opportunities that will drive growth for their business within current and potential customers. The discipline of defining a core set of target priorities and then building marketing, sales, operations and technology solutions to surround those targeted accounts both optimizes near-term results and shapes the future of the company’s growth. It’s a holistic strategy that can dramatically transform a business. Sales cycle length, customer retention of exposed accounts, and strategic accounts engaged are just some of the measures of success for ABM this year. 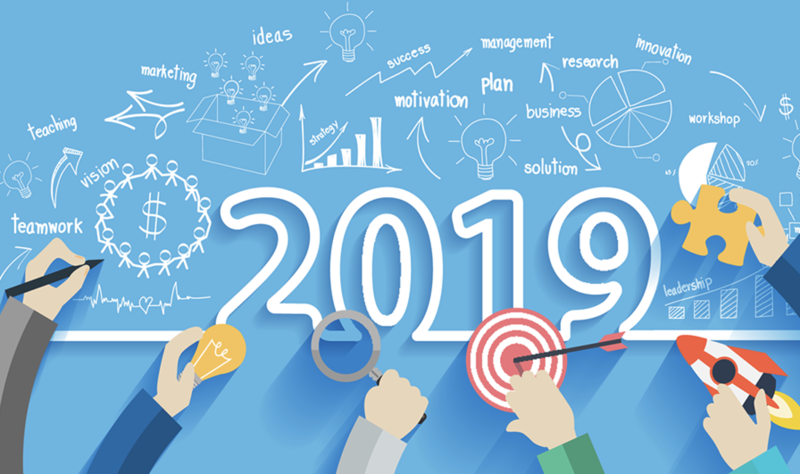 Comments on "Top 3 Marketing Trends in 2019 to Watch in Transportation and Logistics"